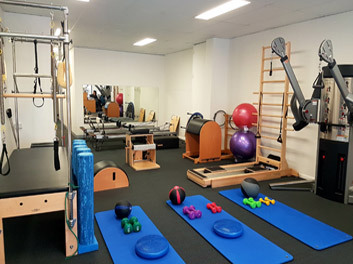 North Shore Physio & Pilates has a team of experienced physiotherapists, dedicated to restoring your pain-free movement and assisting in injury prevention. We offer a wide range of professional physiotherapy services including: sports physiotherapy, physiotherapy exercise classes, postural assessments and sports and fitness screenings. Our physiotherapy and Pilates clinic is located in Castlecrag. We offer a mobile physiotherapy home visit service to clients in Sydney's lower North Shore (Willoughby, Chatswood, Northbridge, Castle Cove, Roseville Chase, Naremburn, and Cammeray). We ensure physiotherapy and Pilates assessments are set to the highest example in order to accurately diagnose your injury, identify all its potential causes and from that knowledge, construct an individually tailored exercise program which encompasses much of our injury preventative strategy. We strive for excellence with our manual treatment techniques which are movement specific and therefore a more efficient approach in addressing the structures involved with your movement impairment compared to traditional physiotherapy modalities (e.g. ultrasound or electrical stimulation). With post-graduate qualifications in musculoskeletal physiotherapy, our practitioners will recognise areas of weaknesses and instability affecting your physical capabilities and construct a programme to address these issues, using structured gym-based exercises and Pilates Method principles to ensure strength building is performed with absolute movement control. We will regularly liaise with your sports/orthopaedic/neurological specialists, GP, allied health practitioner (e.g. exercise physiologist, chiropractor/osteopath) or personal trainer in order to stay on top of your health management and ensure that progress is continual and consistently aligned with your fitness goals. Our physiotherapy clinic is conveniently located in Castlecrag, 10 minutes from Sydney CBD. We also offer mobile physiotherapy home visit services to clients in the lower North Shore (Willoughby, Northbridge, Chatswood, Castle Cove, Naremburn, Roseville Chase and Cammeray).